Adrian is an ‘accidental educationalist’. Quite what that actually means, is anyone’s guess. 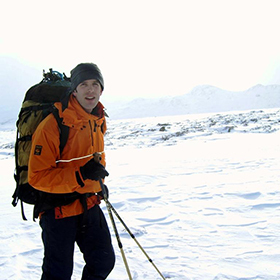 From an eclectic background in sports science, pub management and purchasing, Adrian found his nirvana when he made a non-risk-assessed leap into the world of adventure travel in 2001. His travels started long before that though and he’s now sampled the delights of over 55 countries worldwide. Now the Director of STC Expeditions, the UK’s only Travelife certified school expedition company, we are educating the next generation to become responsible world travellers.